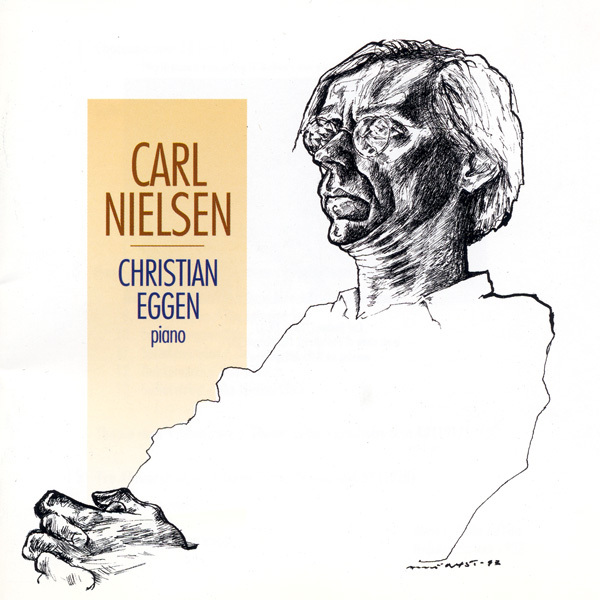 Carl Nielsen had a very original conception of what music can be. It is all about rhetoric, of the way music "talks": how to set musical statements in motion, how to create dynamics and contrasting elements, and how to express different musical situations. When you read his memoirs you are struck by his eye for a situation – the way he picks up the minor drama in some everyday occurrence, and how he conceives it as interplay between contrasting forces. This was also how he experienced music, and he uses models of this type when he composes. For Nielsen, this was the essence of life. This is his own contribution to musical history. Nielsen is an anachronism, and that in itself makes his music interesting. In his music traditional tonality has to accommodate modern structures, while agitated musical phrases must fit into a harmonic framework and structural fabric that may be constricting. All this energizes the music in all sorts of directions. Any attempt to categorize these factors would be unhelpful, as well as being something Nielsen would have disapproved of. Had he subscribed to a single neat aesthetic model we could perhaps have found something cogent to say about it. But he evades any such commentary because he is himself always looking for something new. He is like a sniffer dog perpetually smelling out new musical possibilities. Nor did he have any regular compositional method. He just began at the beginning and felt his way forward. "We have no idea where we will end up," he used to say. I have a strong personal bond with this particular recording. I still remember the intensity of Christian's playing. There was a degree of concentration where the instrumental and musical development from take to take was evident in Christian's every movement and in his physical contact with the instrument. For me, a young sound engineer at the time, it was an experience that set a benchmark for later work in music production. This recording was made direct to DAT in 1993. Early digital technology had many drawbacks and weaknesses. For this remastering we dug out the original SONY PCM-2700 from our storage and fed test signals into it to provide a sonic "fingerprint" of the converter. Using new technology from MQA we can now correct inaccuracies in the time domain, the so-called pre- and postringing in the impulse response, that were present in the old digital recordings. The result lifts a veil from the sound image and gives us a transparent and intimate listening experience. This album is the first example of a "white-glove" process utilizing the MQA technology. If we play the old CD, the music is in there - but also all the problems of early digital converters: the sound is indistinct, brittle and grainy. Morten is a great recording engineer, as can be heard in this earliest work; he is also a careful archivist with the original equipment in the cupboard. We used special signals to capture the characteristics of the digital converter so that the MQA encoder could remove its ’fingerprint’ and reveal the original sound. This isn't changing the music in any way, it's more like cleaning an old painting that had been stained with smoke. Done carefully it doesn’t change the picture, it reveals the artist's intent by removing an obscuring film. Using conventional digital converters and processing, audio has been blurred more than we realise and in a way that makes it unnatural, remote and lacking immediacy. To overcome this, modern ’re-mastering’ will often add artificial reverberation and compression to try to restore brilliance and a sense of space, but it never succeeds. With MQA we don’t need to ‘brighten’ or ‘add’ - the artifacts are removed and what is left is the brilliant, sensitive, and natural original. MQA is an end-to-end process which captures the original sound and delivers it perfectly all the way through to playback. It sounds best through an MQA decoder which confirms this studio recording as you listen, but even with no decoder you will enjoy something much finer than the original CD. Using pioneering scientific research into how people hear, MQA technology captures the full magic of an original audio performance in a file size that's small enough to stream or download. Carl Nielsen hadde en original forståelse av hva musikk kan være. Det har med retorikk å gjøre, hvordan musikken snakker. Hvordan å sette musikalske utsagn i bevegelse, skape dynamikk, motsetninger, iscenesette musikalske situasjoner med ulike karakterer. Når du leser memoarene blir du slått av hans øye for situasjoner, hvordan han fester seg ved dynamikken i en dagligdags hendelse, hvordan han oppfatter det som samspill mellom ulike energier. Det var slik han opplevde musikk også, og det er slike modeller han bruker når han setter musikken i spill. For Nielsen var dette essensen av liv. Dette er hans originale bidrag til musikkhistorien. Nielsen er en anakronisme, og det i seg selv gjør musikken interessant. Det gamle tonespråket får tåle belastningen av moderne strukturer, rabiate fraser skal tøyles innenfor harmoniske eller andre rammer som kan være for små. Det er et hav av momenter her som lader musikken fra alle kanter. Å kategorisere vil ikke hjelpe oss, dessuten ville Nielsen blitt rasende. Hadde han sverget til en bestemt estetikk kunne vi kanskje sagt noe fornuftig. Men han unnslipper hele tiden fordi han selv er på leting. Han er en sporhund som snuser etter musikalske muligheter. Han hadde heller ingen metode når han komponerte. Han begynte på begynnelsen og følte seg fram. "Ja, vi vet jo ikke hvor vi ender," pleide han å si. Jeg har et personlig sterkt forhold til nettopp denne innspillingen. Jeg husker ennå den inderligheten som Christian levde inn i flygelet. En konsentrasjon hvor den instrumentale og musikalske utviklingen fra tagning til tagning lå i Christians opplevelse av egen motorikk og fysiske kontakt med instrumentet. Som ung lydtekniker var dette en opplevelse som satt standard for videre etterlevelse i musikkproduksjon. Denne innspillingen ble gjort direkte til DAT i 1993. Tidlig digitalteknikk hadde mange feil og svakheter. For denne remasteringen hentet vi frem den originale Sony PCM-2700 fra lager og matet den med testsignaler som dannet et "fingeravtrykk" for konverteren. Med ny teknologi fra MQA kan vi nå korrigere for unøyaktigheter i tidsdomenet, såkalte pre- og postringing i impulsrespons, introdusert i de gamle digitaliseringene. Resultatet løfter et slør fra lydbildet og gir oss en transparent og intim opplevelse.